An educational program with SK Hynix to assist specialists in the display field. KEPSI (KEPSI: KAIST Educational Program for Semiconductor Industry) was established in 1996 to meet the demand of semiconductor industries to foster highly qualified semiconductor engineers who can play a leading role in the area of semiconductors and integrated circuits for information technologies. This program is supported by SK Hynix. 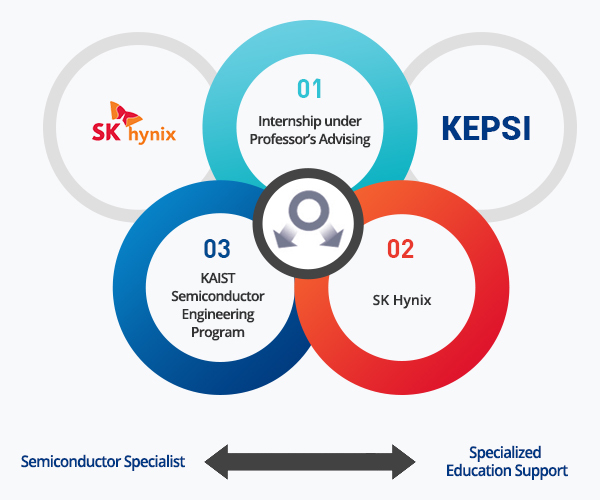 The program will provide an opportunity to gain practical experience through SK Hynix's internship and focus on fostering high-end 21st-century semiconductor technology with high academic knowledge and skills through continuous development of industrial and academic customized curricula of the KEPSI program.